Latest links on Friedman/Sanders, etc. Alan Harvey, IDEAeconomics, Standard Fare or Fantasy Economics? An excellent and vigorous defense of the plausibility of Friedman’s growth projections and a useful summary of the debate, including Christina and David Romer’s intervention into it. Among the telling points he makes in support of the plausibility 5+% growth rates with the kinds of big, big programs Sanders is suggesting: the fact that “the average growth rate under Democratic presidents prior to Barack Obama was 4.2 percent.” Gee, Friedman estimates a few years of growth 1.1 percentage points higher than the average growth rate under pre-Great Recession Democratic presidents, and suddenly puppies are flying? James K. Galbraith, Boston Globe, The kerfuffle over Sanders’ economic plan. A summary similar to his other pieces, but in a forum that will have reached a much broader audience. Michael S. Gordon, Boston Globe, Socialists, look to economists at UMass Amherst for support. In light of the huge uptick in the number of people in the U.S. who call themselves “socialists” (see below), this headline isn’t as snide or marginalizing as it might have seemed a couple of years ago. Look for an uptick in applications to the UMass-Amherst econ department from all those millennial Berniegals and -bros.
Greg Ip, Wall Street Journal (Feb. 19), To Match Lofty Growth Goals, Presidential Candidates Need Better Plans. Discussion of what Ip views as overly optimistic growth promises from both Sanders and Republicans; an early criticism of Friedman’s report, but he appears to have actually read it: “Mr. Friedman claims a big deficit-financed stimulus, increased entitlements and redistribution would achieve this. That seems implausible; Barack Obama, after all, did all three (though by less than Mr. Sanders would), and labor-force participation and productivity growth have trended down. Indeed, in theory, increased social transfers and marginal tax rates tend to reduce labor-force participation, and increased regulation hurts productivity growth.” He concludes: “There’s nothing wrong with outside-the-box thinking. That’s what got the U.S. out of the Great Depression. But so far, what the candidates have offered doesn’t measure up. Either more realistic goals or far more unorthodox thinking is in order.” Sounds good–let’s go for much bigger stimulus and government intervention than Sanders is calling for! Find this statement on Hillary Clinton’s campaign site, here. So maybe the reason Clinton doesn’t seem to have a plan to make health care universal is that she believes her own false claim that it is already universal (and affordable–which Obamacare isn’t either). 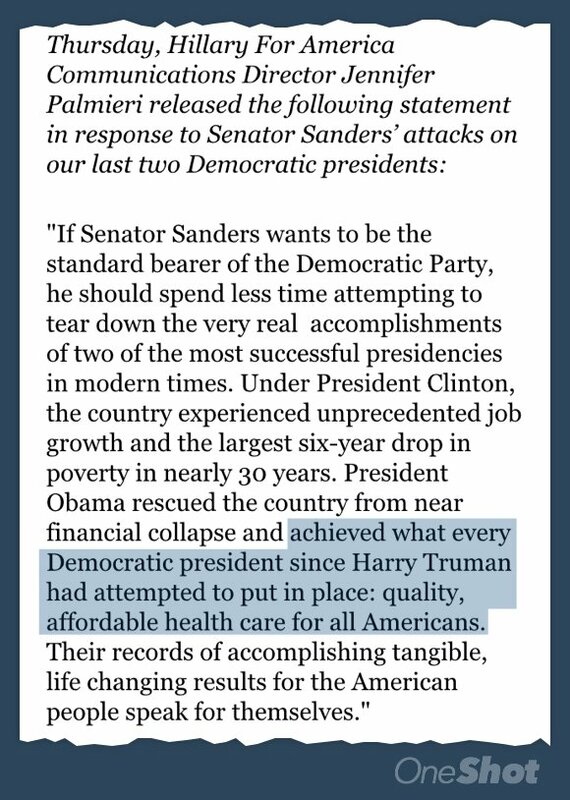 Meanwhile, Sanders’ plan has gotten more scrutiny than Clinton’s and Trump’s non-plans. In an earlier post I mentioned the piece from WashPo Wonkblog, Study: Bernie Sanders’s health plan is actually kind of a train wreck for the poor. This is the one that only cited Kenneth Thorpe’s study, and not the critiques of it by Friedman and by Woolhandler/Himmelstein. Where’s the scrutiny for Clinton’s failure to explain how she’s going make Obamacare truly universal? Our current issue, which just went out to e-subscribers and is being mailed soon to print subscribers, includes a column by Gerald Friedman on Sanders’ health care proposals. I’ll post that to the website soon–probably next week. This piece reads well alongside Doug Henwood’s Post-Hope Democrats, which I linked to in an earlier post. “Bernie Sanders’s presidential campaign has made clear that many Democrats are inclined to vote for a candidate who proclaims himself a democratic socialist, but even more dramatic and consequential are the many Democrats who say they’re socialists themselves. In a poll on the eve of the Iowa caucuses, more than 40% of likely Democratic caucus attendees said they were socialists. In a Boston Globe poll on the eve of the New Hampshire primary, 31% of New Hampshire Democratic voters called themselves socialists; among voters under 35, just over half did. And in late February, a Bloomberg poll of likely voters in the Democratic primary in South Carolina – South Carolina! – showed that 39% described themselves as socialists. See also: Peter Beinart, The Atlantic, Why America Is Moving Left. An interesting piece, but hard to follow because of the author’s use of the term “liberalism” to mean “left,” and the author’s suggestion that Obama is liberal/left, as in this thesis statement: “There is a backlash against the liberalism of the Obama era. But it is louder than it is strong. Instead of turning right, the country as a whole is still moving to the left.” Shouldn’t he instead say that there is simultaneously a left-wing backlash against neoliberal Obama, and a right-wing reaction against that backlash (and against whatever socially liberal elements or imagined “left” or “socialist” elements there are in the Obama administration)? Ethan Young, Rosa Luxemburg Stiftung, A Political Revolution for the U.S. Left. Much better piece. 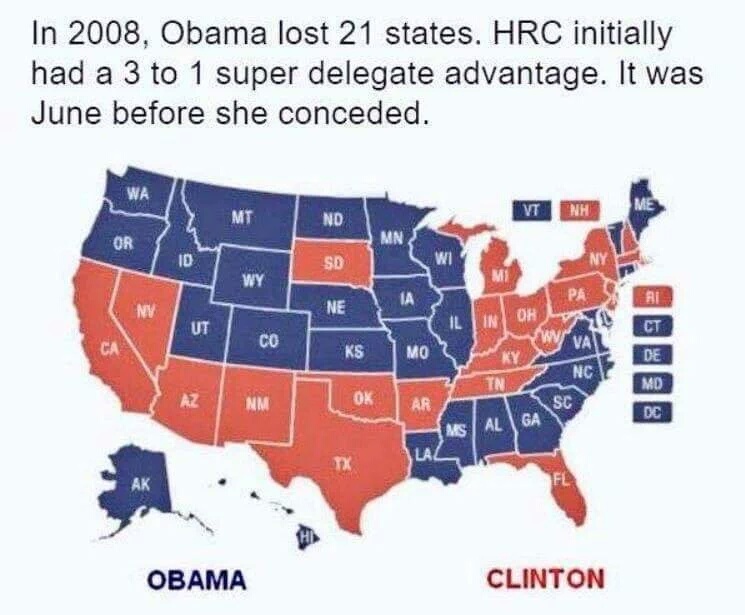 “The U.S. Left is in the process of emerging from decades of decline. It entered the Obama years in terrible shape: politically incoherent, cut off from its historical continuity, and organizationally and socially fragmented. Yet in the last years there have been signs of awakening, and in the past few months a new progressive insurgency has appeared, piercing public consciousness in a way not seen in generations.